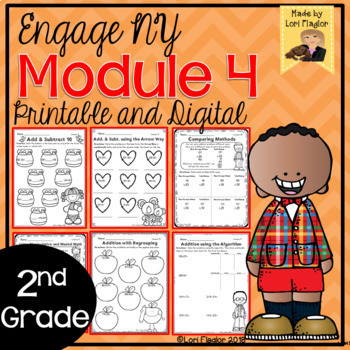 This resource is a must have if you are using the Grade 2 Engage NY Module 4 program. 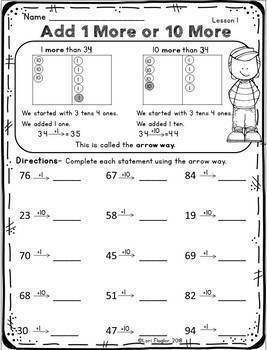 Module 4 focuses on Addition and Subtraction within 200 with Word Problems to 100. There are 30 lessons covered in 121 pages. This resource is ready to Print-N-Go and is perfect to review key concepts, for homework, or small group instruction all in a kid friendly format. 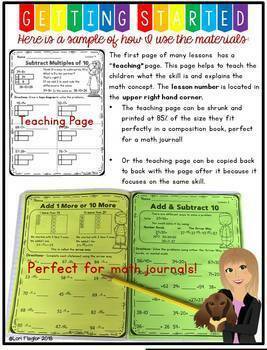 This resource helps students learn the key concepts of addition and subtraction with regrouping using hands on elements. Children will learn how to use place value disks, and solve problems on a place value mat. Also contains Place Value Mat, Mid-Module Review and End of Module Assessment. Check out the preview to see a sample of what is included.